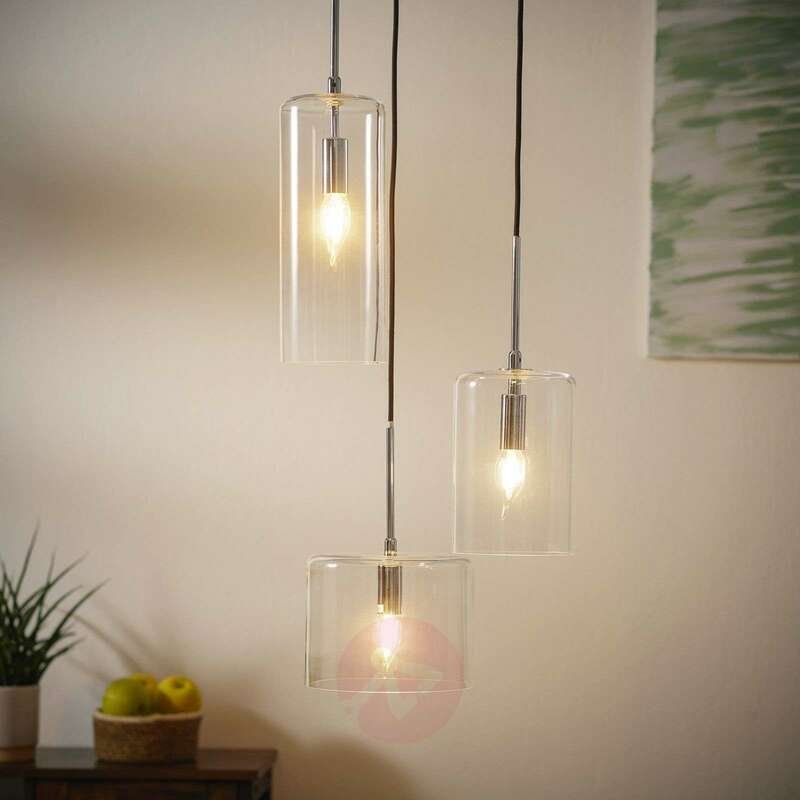 This beautiful hanging light with three clear lampshades of different sizes, fitted at different heights, is a real eye-catcher for the modern living area. 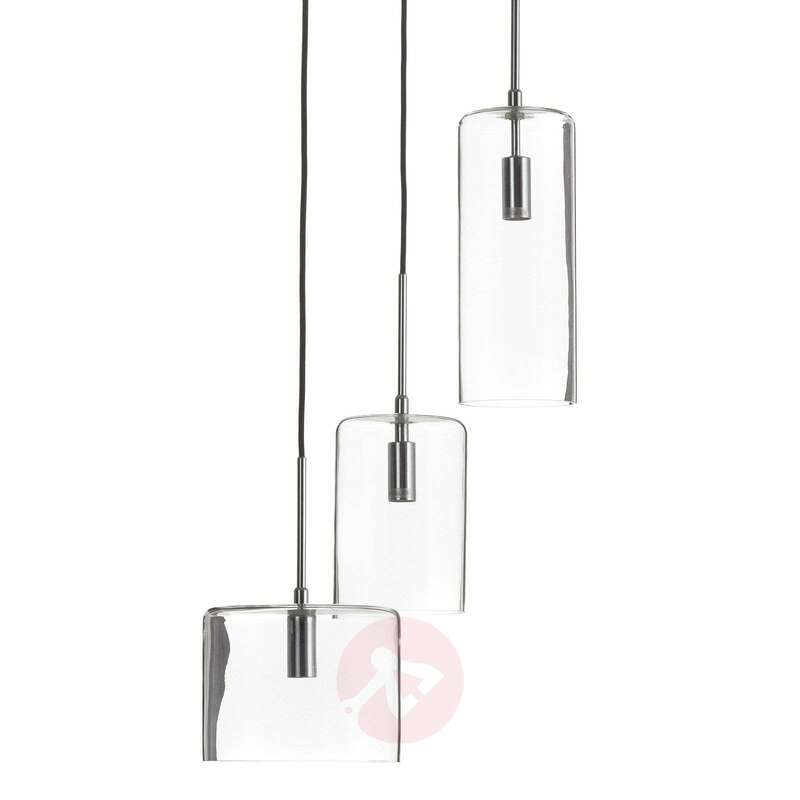 In combination with the chrome-plated ceiling canopy and the black, fabric-covered suspension system, it forms a fashionably designed body that contributes to an evocative lighting in the sitting room with its bright light. The clear lampshades reveal the light bulbs. The light bulbs are not included. Is it possible to adjust the cabl length? No,it won't be possible to adjust the suspension.